Bangor International Airport is one of three international airports in Maine. The runway at Bangor International is nearly two miles long. Bangor International Airport serves as a troop re-entry point to the US and also for plane diversions. Bangor International Airport is one of the most multi-functional airports in the US. Continental air is one of five carriers at Bangor Airport. Bangor International Airport (BIA) is a small airport located around three miles from the city of Bangor in Penobscot County, Maine (the site is 2,079 acres). 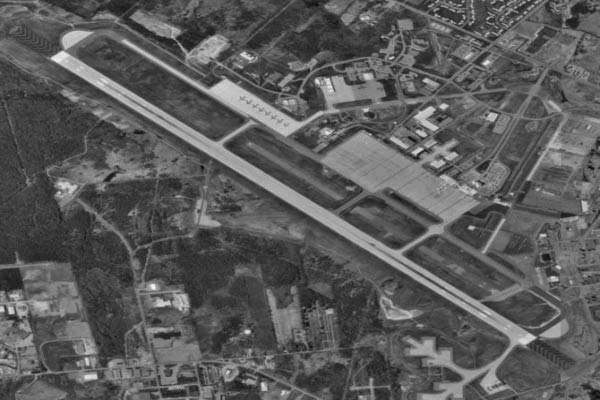 The airport is owned and operated by the city of Bangor and was formerly an air force base (even now the airport retains some use as a National Guard base). The airport has a single small terminal building with eight gates and a single runway 15/33 11,440ft long (3,486m, around two miles) and 200ft wide (60m). The runway, first built in 1958, was refurbished in 2001–2002 using a $10m grant from the Department of Defense. There is also a full-service hotel at the airport, the FourPoints by Sheraton Bangor Airport, which is connected to BIA via an enclosed skywalk. 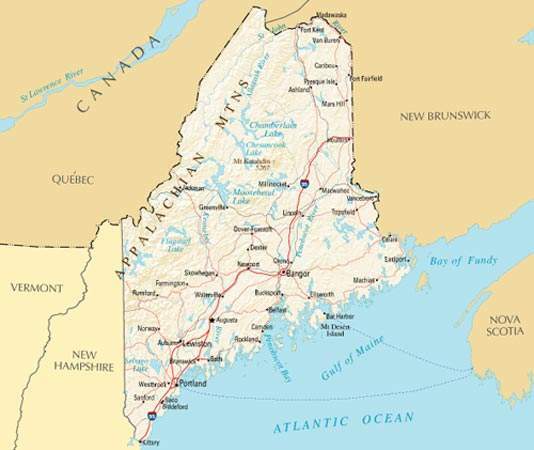 The airport serves central, eastern, and northern Maine, and also parts of Canada. It is one of three international airports in the state. Bangor Airport has an international role in refuelling stops, the low-key transfer of military personnel, charter flights from Europe and unscheduled stops for undesirable passengers from Europe. Its runway is of a size that can handle any military or commercial airplane. Bangor also has a large domestic role in the US with flights to major cities such as Boston, Detroit, Philadelphia, New York, Atlanta and Minneapolis. There are however no regular international flights to Canada. Passenger figures at the airport reached 397,866 in 2007 but have been in decline since linked to economics and management) with the highest number occurring in 2005 when it achieved a record of 487,000 passengers, due to economics and management. The airport is, however, a very convenient refuelling stop and diversion. 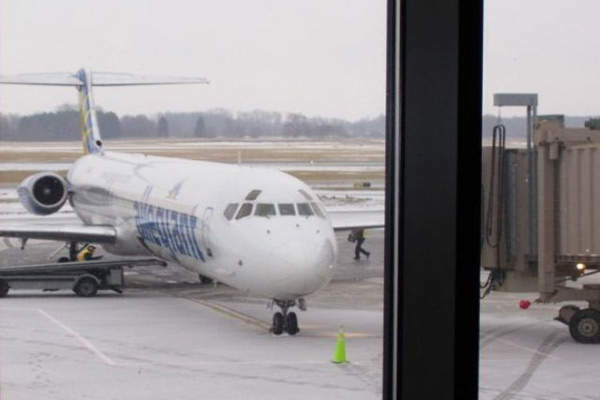 Allegiant Air, which makes a total of five carriers, is one of Bangor airport’s success stories with a route established from Bangor to Orlando, Florida in November 2007 (Sanford Airport). In April 2008 the airport received a $2.9m grant from the Federal Aviation Administration (FAA) to upgrade the terminal building as well as aviation equipment. The project was scheduled to start in June 2008 and expected to be completed by December 2008. The project execution was, however, delayed. Finally, on 13 May 2009, the airport authorities announced the opening of the addition to the domestic terminal. The expansion added 6,150ft2 of area to the terminal, which includes new elevator and staircase. The construction added a second storey to the area around gate 1, giving the terminal two levels. New passenger toilet facilities beyond the security checkpoint were also constructed (a matter of complaint for many years). In addition, passenger seating areas were increased and circulation space was modified. Wi-fi was introduced throughout the terminal building and new television sets were installed. There was also funding to upgrade the fire alarm and public address systems as well as the terminal seating and furnishings. The FAA grant funded 95% of the project, 2.5% was paid by the State Department of Transportation and 2.5% from airport revenue. The total cost of construction of the project came to around $3.9m and was funded as above. During the project gate 1 was not be used (it was out of action throughout summer 2008). Instead, passengers used gates 2 and 3. Gate 3 is usually reserved for international flights but there was little or no overlap between international, domestic and military personnel flights. With some recourse to disruption, the retail facilities at the airport were relocated during the course of the project. There are also a number of infrastructure improvements on the cards, including a new access road, a parking garage and an update of the stormwater system at the airport. In December 2007, as part of the terminal upgrade SIGNET Electronic Systems, Inc. of Scarborough in Maine installed a new access-control system on secure doors at the airport to improve security. The $500,000 project took a year to complete and required a smart-card system on over 80 doors in both the international and domestic areas of the terminal building. The system combines elements of a smart-card system and also biometric technology to improve security. The smart system can be programmed to allow access to certain areas according to their identity and what time of the day it is. Wireless (mobile) communications have also recently been improved at the airport with the introduction of a new wireless cell in the area by Verizon. The parking facilities at the airport include courtesy parking, short-term parking and long-term parking. In addition, parking is also available for passengers needing assistance.